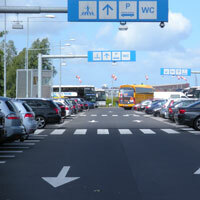 The stop is located at P+R Zeeburg bus parking lot. 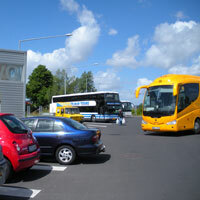 On the premises there are free public toilets as well as an information stand where you can buy public transport tickets and tourist discount cards. Right behind the stand there is a tram stop of tram No. 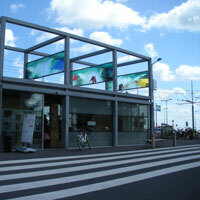 26, the terminus of which is at the central station (approx. 20 minutes). 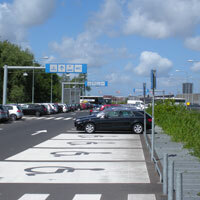 P+R Zeeburg parking lot is on the left of the A113 exit from the city ring road “Amsterdam Ring“. This stop is used by RegioJet up to 31. 8. 2018. From 1. 9. 2018 the buses arrive to/depart from Amsterdam Sloterdijk.